It’s not uncommon for the average blogger to wonder if a post is worthy of being published, or if the blog itself is Internet-worthy. Is it click-worthy, reader-worthy, subscriber-worthy? There are no documents sent to a blog from any supervising authority to prove its content is worthy. A blogger might never know for sure. Thanks to Big Business, there is one thing I can be sure my blog is worthy of, and that is a $25,000 line of credit. Snoozing on the Sofa is now officially creditworthy. How do I know this? Because the fine people at American Express have told me so. Just the funding I need to open that blog gift shop I’ve always wanted. You will please note that this is not the common #10 envelope for blogs that are just barely creditworthy. This is the large, thick stock envelope, reserved for blogs whose worthiness is beyond reproach. Then too, there is the gold embossed promise of BIG REWARDS, which is not for just any run-of-the-mill blog. 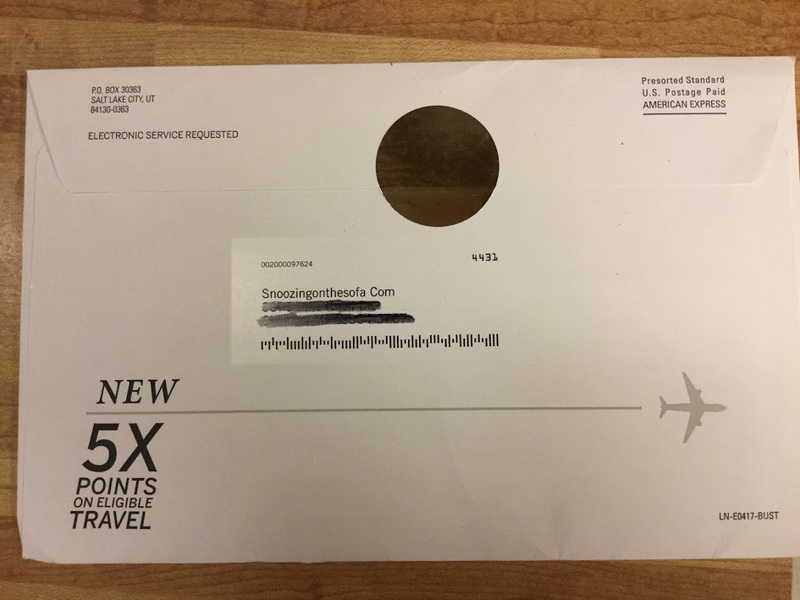 And, in case you missed it, American Express does not waste time instructing nobodies as to which end of the envelope to open. Only the special blogs receive that level of concierge service. I did not accept the offer of credit. I figured this blog should probably open a bank account first. Then, it can save up all its birthday money to pay its American Express bill. Besides, playing hard-to-get might encourage them to sweeten the deal. Sure enough. A few weeks later, this came. I feel bad for all the schmucks who settled for 4X. Picture the top American Express executives huddling in their conference room, lamenting the lack of response to their initial offer and brainstorming ways to entice the coveted blog. I was expecting 2, maybe 3X points on eligible travel. Who would have dreamed of such a carrot as 5X points on eligible travel? Wow, it’s nice to be wanted. Even to a blog lacking a bank account, American Express was making an offer hard to refuse. Well, it would have been hard to refuse if Snoozing on the Sofa hadn’t realized it travels all over the world via the Internet already, and it doesn’t need any points on eligible travel to do so. Maybe American Express should start offering 5X points on eligible WordPress theme upgrades. All is not lost. We’ll still be wanted by other organizations. Snoozing on the Sofa will turn six at the end of this year, and that’s about the age when AARP starts soliciting for new members. This entry was posted in Random Toy Box and tagged American Express, blogs, business funding, credit cards, credit offers, creditworthiness, eligible travel, fatherhood, humor. I’ll give you credit – you make the ordinary and mundane most hilarious – thanks! I’m always delighted to see your blog has made the long arduous journey to my inbox. Safe travels…. Thanks very much! That’s just the kind of comment a blogger needs to get every once in a while to make him feel worthy. You should have a bluer suit then them all. It appears to me that you’re a lot smarter. I hope you get lots of Birthday blog money..
Should I remind you when birthday time is near? Sure you can remind me..
I’ll put you right down on the contributors list. Not until we get that AARP membership offer. Can you find out if they pay you 5X the amount of miles you travel around the world daily with your blog and all the likes and comments and if they pay it out right away??? 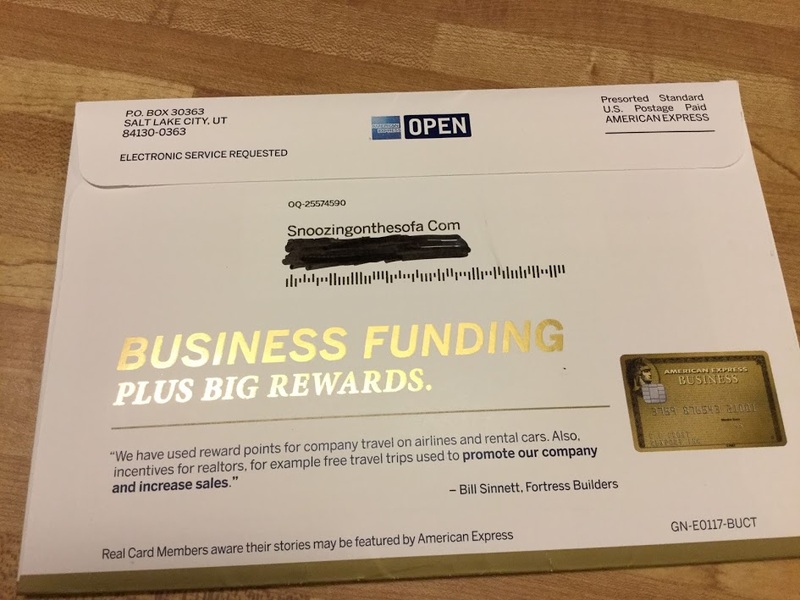 Wow – you know you have made it in the blogging sphere when American Express sits up and takes notice!!!! Congratulations on your success!!! Yes, I’ve made it. Now I just have figure out what “it” is. I always knew you were better than me at this blogging thing. If you measure by how much debt I can get into, yeah. Just let every follower pay you something for visiting your site. Oh wait…that’s selling out.